Accuracy under pressure. Precision under control. The PC100 Series pressure controllers and meters combine a host of high-performance technology features to deliver a new level of pressure control accuracy and reliability to demanding semiconductor, vapor deposition and other ultra-precise manufacturing processes. 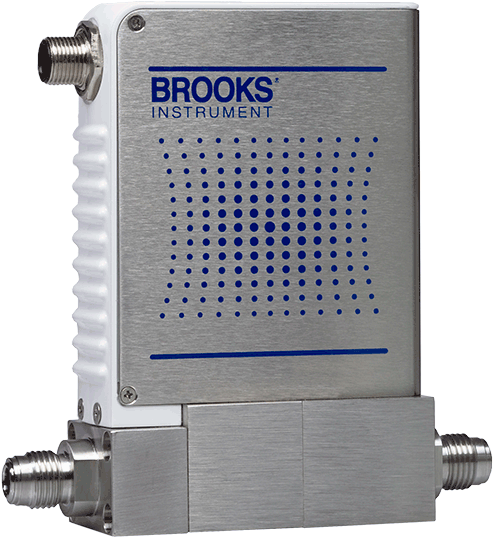 Built on the proven Brooks GF100 mass flow controller technology, the PC100 Series features a high-purity all-metal flow path, enhanced sensor technology engineered specifically to eliminate sensor drift and a user interface and device diagnostics capability that makes it much easier to conduct device evaluation and troubleshooting, resulting in limited service interruption and reduced downtime. Transducer Pressure Range: 1000 Torr F.S.